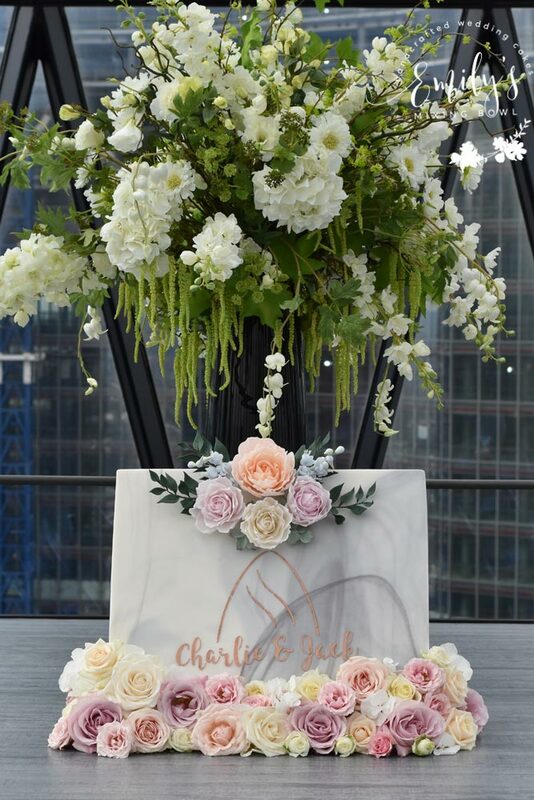 Jack and Charlie married at The Gherkin in London. 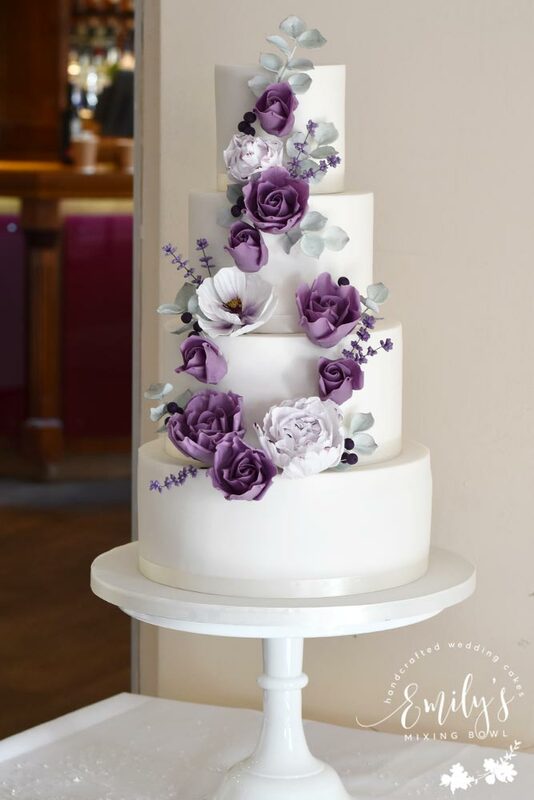 I made them this unique slab cake which was designed by Jack as he wanted a cake to look like a wall adorned with flowers. The cake was supported with a handmade integrated stand made by my carpenter husband. 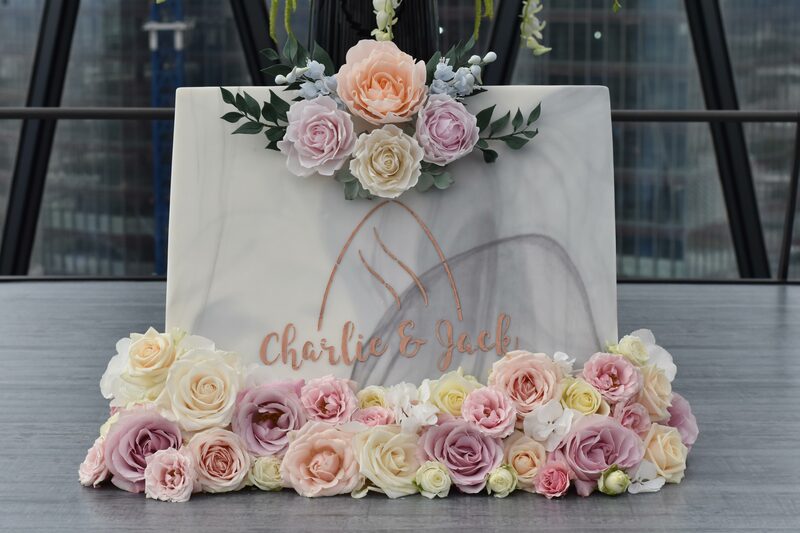 Under the marble effect icing were 4 individual rectangular cakes in different flavours, I had a handmade stencil of the couple’s wedding logo and painted this rose gold on the front of the cake. 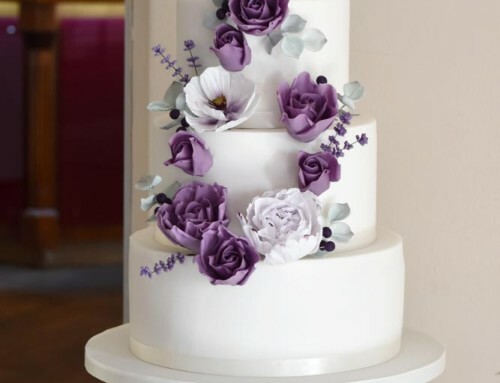 Jo Frost Flowers provided fresh roses for the bottom of the cake and I made sugar roses for the top arrangement.